Sally is an Internationally recognized Architectural Psychologist, color/design consultant, teacher, author and lecturer. For more than thirty-five years, she has assisted a myriad of clients from homeowners to hospitals from celebrities to restaurants and law offices all to create extraordinary places in which clients can exist in unison with their environment. 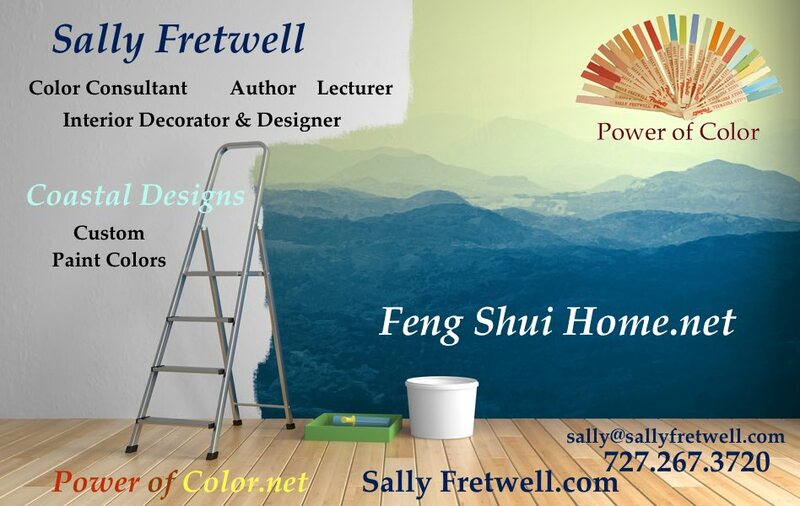 Sally has published 5 professional books on color and Feng Shui and two children’s books on nature and color. 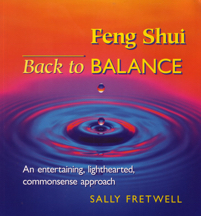 Feng Shui back to Balance was on Amazon’s Best Sellers List for over 3 years. You can see all of her books at the bottom of this page. Her latest acclaimed book is The Power of Color, which features an array of beautifully vibrant photographs, and is meant to inspire the reader to use color to create a mood. Sally learned and has been practicing Feng Shui for over 35 years with all of her clientele. Her book ,”Feng Shui Back to Balance”, sold thousands of copies nearly 20 years ago and has been asked countless times to provide another book on the subject. Many of her clients come to her because of in when they are looking for an Interior Decorator. Her novel ideas considering the subject have provided her with a special informal approach that better suites the age and society we live in. Clearly her clients agree by the reviews she receives. In her own words,”Your home is the place you want to reflect who you are. More than that you want your home to support equilibrium , even facilitate, creating balance in your life. Meaning, for an example, if you are a very zippy person and your family tends to go like the wind, finding it hard to slow down at the end of the day, mind racing at night. You want your home to be like the feeling you have when you enter your favorite restaurant and you start to decompress the minute you enter the door, allowing your body to slow down and recharge. The colors grounding and uplifting, the lighting perfectly a glow and happy. If you are a sluggish type, where it is hard to get going in the morning you need to have your home reflect a balancing affect on your energy and give you an inspired get up and go feeling. Supporting an exciting new day, creative and energetic. Color, lighting, flooring choices, kitchen styles, bathroom layout all can have a profound affect on how you feel in your home. If soaking in a tub at night helps you fall asleep, or if you love sitting out on a back porch and watching the stars, or even that you LOVE to cook and be surrounded by people chatting as you create a mean, all these things affect your over all well being. How you layout your floor plan or live in your home, is paramount to how you feel and support your love to be at home. Whether you want to Jump start your day, or chill out and be peaceful, your home can be your sanctuary. Her internationally known consulting service has enabled her to share knowledge and expertise at home and abroad. Sally’s lectures, classes, and short courses are available to realtors, interior designers, developers, and architects. She is also available for video and e-consultation via SKYPE and FaceTime. 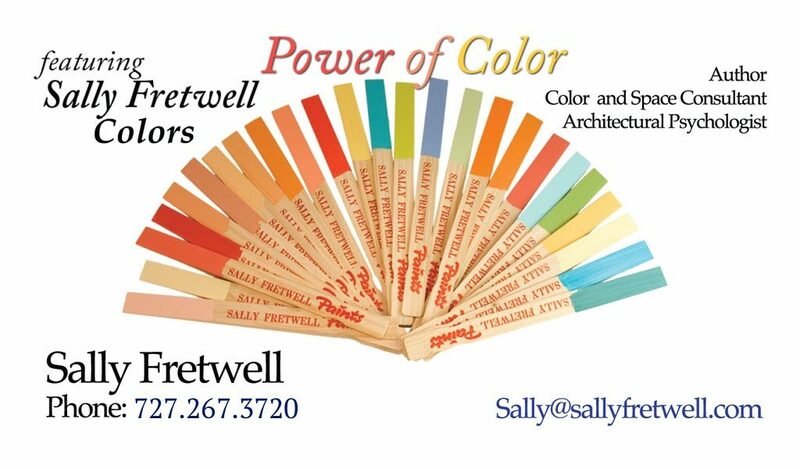 As a result of her color inspiration and health-consciousness, Sally established an environmentally responsible company, Sally Fretwell Paint Colors, LLC. The company developed a full line of no-VOC (Volatile Organic Compounds) paint colors, in a vibrant palette of vital colors while being environmentally safe. Many of the paint colors she has developed have been adopted by one of the largest companies in the country. Sally often formulates special paint colors for clients who have unique color and lighting situations. Sally has formulated well over 300 paint colors for her clients. Click on the Paint Color Design menu under “COLORS” to learn more. Shipped thousands of gallons of her own paints across the country. As if just consulting in interior design and color for clients was not enough, Sally realized the need to develop her own line of paints and paint colors to better serve her clients. It was an enormous task to start two separate paint stores with her own paint lines serving the Washington, DC, Maryland, and Richmond, Virginia areas out to 100 mile radius. Sally’s colors were so widely accepted that over 20 stores in these two metropolitan areas also carried Sally’s paints and ultimately her paints were delivered to clients all across the country. The years of her service and knowledge in colors, formulas, development, delivery, application, and consultation combined with the experience of starting her own private label paint lines and her own stores is testimony to the depth in her fields. Sally spent thousands of hours creating hundreds of custom colors with her own names and formulas for her paint lines. She developed her own paint lines and custom “NO VOC” paints and PPG outdoor products. Sally opened and operated Paint and Design facilities within her paint stores and additionally in conjunction with the satellite stores, which carried her products. She consulted with clients on color, design, and space for kitchens, bathrooms, sun rooms, medical offices, hospitals, patios, driveways, homes and industry.